Receive showtimes and more in your inbox every week! Tickets are $20 + service charge and HST at Vic Hall Box Office 905-372-2210. Performance at The Loft - Online tickets at Victoria Hall Box office. Dave Young, Reg Schwager, and Kevin Turcotte are three of the finest musicians playing anywhere in the jazz world today. You can read their musical biographies in the links at the end of this paragraph. 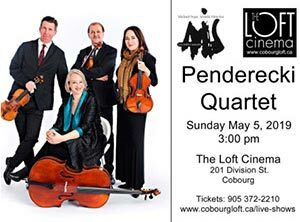 If you love musical virtuosity you will want to experience this intimate concert in one of the finest listening rooms in Canada - The Cobourg LOFT (capacity 60). Dave Young and Reg Schwager have played The LOFT before and their shows sell out fast. 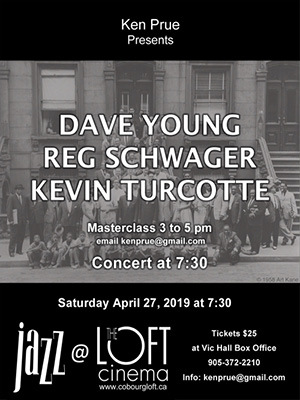 Kevin Turcotte has not played here in person yet but he has been here several times in the movie soundtrack work he did for MILES AHEAD (the Miles Davis Story) and BORN TO BE BLUE (The Chet Baker Story). Young, Schwager and Turcotte know each other well. In 2011, Young released Aspects of Oscarwith his quintet featuring Dave Young, Kevin Turcotte, Reg Schwager, Robi Botos and Terry Clarke. Since then they have shared stages and studios frequently as a trio. 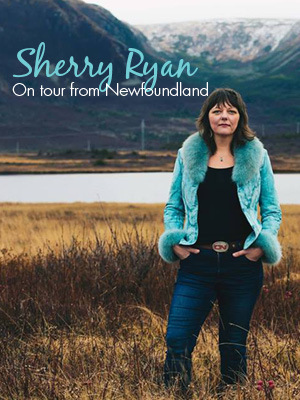 Our April 27 evening concert (7:30) is part of an Ontario mini-tour and will feature an afternoon masterclass workshop (sold separately) from 3:00 pm to 5:00 pm. The masterclass (30 person limit) will be of particular interest to musicians. As an educator, Dave Young has taught numerous music seminars and jazz clinics and is currently a faculty member of The University of Toronto. In 2003, Young was in residence at the Music Department of St. Francis Xavier University in Antigonish, Nova Scotia, conducting bass master classes and performing. Concert tickets are $25 + service charge and HST at Vic Hall Box Office 905-372-2210. Online here. Performance at The Loft, 201 Division Street, Cobourg. Franz Joseph Haydn, String Quartet in D Major, Op.50 No.6, "The Frog"
Antonin Dvorak, String Quartet in E flat Major, Op. 51, "Slavonic"
Tickets are $25 + SC and HST at Vic Hall Box Office 905-372-2210. Online here. 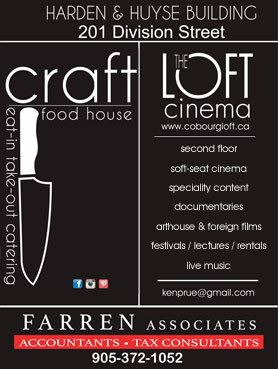 The performance is at The Loft Cinema, Cobourg. Multiple National Jazz Award-winning trumpet improviser, Brownman Ali, leads a monster trio into Cobourg on May 15 to kick off a 12 day, ten city tour that includes Kingston, Montreal, Ottawa, Toronto, London, Guelph, Kitchener, Hamilton and St. Catherines. 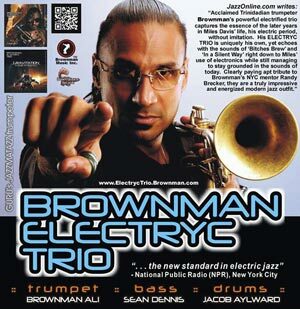 Brown's energized electric-jazz-fusion has become a favourite of Cobourg's sophisticated jazz fans who appreciate the virtuosity and power of this trio: bassist Sean Dennis, drummer Jacob Aylward and trumpet player/leader Brownman Ali. Brown's several ensembles have almost become resident at The LOFT, having performed here 15 times in the last 12 months including 5 Sundays in September 2018 and 5 Fridays in March 2019. This hasn't gone unnoticed in Toronto's Jazz Community as many of the city's top players are now asking to bring their crews into Cobourg to play at The LOFT. "The All-Canadian Cobourg Jazz Fiasco!" Acclaimed Concert Pianist Richard Herriott returns to Cobourg for an exciting and innovative afternoon of sublime entertainment, all with a Russian theme. 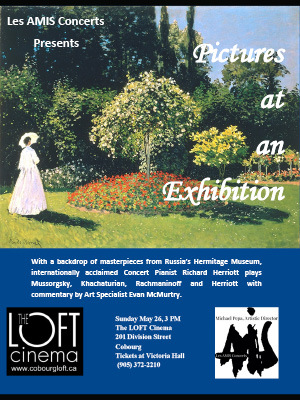 Herriott, known for his virtuosity, passion and powerful command of the piano takes the stage at The LOFT Cinema. Adding a fascinating aspect to the performance, Art Specialist Evan McMurtry will guide the audience on a tour of one of the world's most impressive collections of Old Masters from the Hermitage Museum, including works by da Vinci, Monet, and Picasso. Over two-hundred-and-fifty years, the State Hermitage Museum has grown from a private gallery into a sprawling complex in the heart of Saint Petersburg, Russia, all thanks to the efforts ambitious Emperors and one powerful Empress, Catherine the Great. As Herriott plays, the audience will be treated to a selection of images on the big screen as they view the highlights from this magnificent collection.